From opening a bank account or buying an insurance policy to fighting cancer or even buying a pair of shoes, we are increasingly being helped or influenced by artificial intelligence (AI). In Mumbai, designers Falguni and Shane Peacock used AI to create their latest collection. In Bengaluru, a startup is using AI to improve detection of breast cancer and also make treatment cheaper. And in the Tata Motors plant in Pune, a robot is skilled enough to do 30 different tasks — that's artificial intelligence again. The world around is changing much faster than we can imagine, and this six-part series goes behind the scenes to understand how. Part I dealt with AI's impact on the auto sector, Part II on insurance segment, while Part III dealt with medical diagnostics. Today, we look at how artificial intelligence could be a threat to independent financial advisors. Robo-advisers are nothing but financial planning through artificial intelligence. There is minimal human intervention and the entire process is managed by an algorithm-driven software. The financial services ecosystem is witnessing a rapid technological change. The fintech industry has been revolutionizing the sector in the past few years, with disruptive technologies such as machine learning, artificial intelligence, social data intelligence and blockchain, which are proving to be enablers in solving critical business problems. According to fintech experts, robos are already doing 75 percent of the distributor’s job. For instance, these automated advisers ask you your age and a few questions about risk, goals and your time horizon. Then the platform runs your choices through their algorithms. Next, you are assigned a risk level ranging from conservative to aggressive. Most robo-advisers divide their investment portfolios by risk. So, based upon your risk level, from conservative through aggressive, you are provided with a collection of investments, in specific proportions, that meet your criteria. The only trump card a distributor still holds is that of an advice. Experts also feel that the future looks grim for advisers who hesitate to adopt technology. “Robo-advisers are still uncharted territory for most investors but in the years to come, they will win confidence and trust by following the principles from Isaac Asimov’s farsighted Robot Series — we have three laws of robo-advice: A robo-adviser shall not harm an investor’s savings, or through inaction, allow an investor’s savings to come to harm; a robo-adviser shall always act transparently, and in the best interest of the investor, even if it means lower fees for itself and lastly, a robo-adviser shall continually drive down costs, making solid investment advice accessible to everyone, including smaller, newer and younger investors,” said Kunal Bajaj, Founder & Chief Executive Officer, Clearfunds, a robo advisory firm. Investing and personal finance planning has been a confusing territory for first-timers. For some, structured financial planning was out of reach while for others it was the exorbitant fees that deterred them from approaching financial advisers. Analytics is all set to transform human lives and robo-advisory does the same for investment planning. Why are robo-advisers gaining importance? Low Threshold: Usually, the services of a professional financial planner were available only to high net worth individuals. However, such automated financial advisory can be easily availed by the young working class. In fact, it is more suited to first-time investors. One does not need a minimum annual income of Rs 5 lakh to start their financial planning process. Lack of experienced CFPs: There are only 2,500 certified financial planners in India. At the same time, there are 62 million households, with annual incomes above Rs 5 lakh, who can avail the services of an adviser. This shows a huge talent gap and lack of expert advice in this field has led people to opt for robo-advisers. Lower fees: Experienced financial advisers charge fees that is deemed unaffordable by most. While some charge an upfront fees for personalized advice, others ask for a percentage based on the corpus of assets. There are also some who charge a monthly remuneration for maintaining the portfolio. On the other hand, most robo-advisory firms have a flat fee model irrespective of the assets of the customer. The fees range from Rs 1,000-5,000 per year, per portfolio, while few firms charge based on the advice. The fee ranges from 15-100 basis points of assets per year. Accessibility: Due to minimal human intervention, robo-advisory is accessible 24×7 and the client need not wait for the financial planner or take prior appointment for the same. The access is agnostic to the time zone and the specific time of the day, making it a 24x7 solution for customers. For instance, if there has been a rate hike by the US Fed, which is almost midnight in India, one can just log in to the advisory platform and simulate the implications of the move on the portfolio. The portfolio simulator will help you evaluate the impact of the event on the value of the portfolio. Quick execution: The endless documentation, cheque collection and other formalities made investing a long drawn process and dissuaded many investors. This has been completely solved by robo-advisory where everything is just a click away. For instance: If you are KYC-registered, and have a bank account in one of the supported banks that have a tie up with the advisory platform, then all you have to do is log onto the platform you are registered with, enter your PAN and bank details, upload a snap of your cheque leaf, and that’s it! You can start investing immediately. Is the Indian financial sector ready for robo-advisers? India is slowly warming up to this idea and there are many robo-advisory startups such as Scripbox, Bharosa Club, FundsIndia, Artha Yantra and Invezta, with a steady clientele. The services of these platforms range from automated plans, goal-based asset allocation and end-to-end advisory based on information taken from the client. Apart from the startups, some of the established financial advisory services such as Birla, Bajaj Capital, ICICI Securities and Sanctum Wealth Management are also foraying into this territory, either through in-house products or through partnerships with leading fund houses. 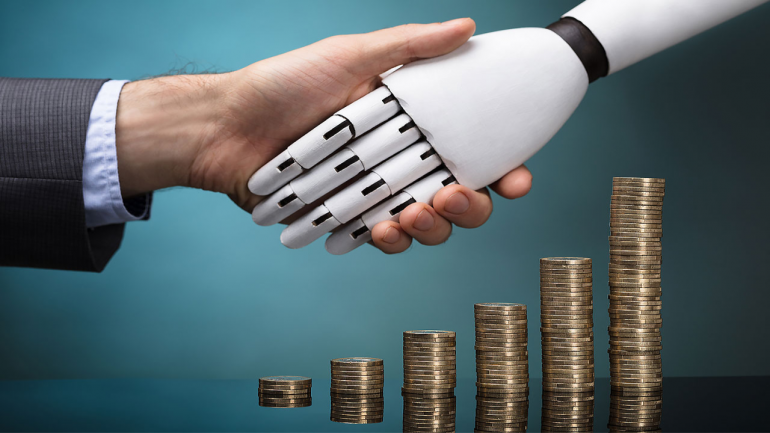 AI disruption: Is robo-advisory a threat to financial planners?